If you have any electronic devices, chances are many parts of it come from this small part of the world: Shenzhen Huaqiang area. 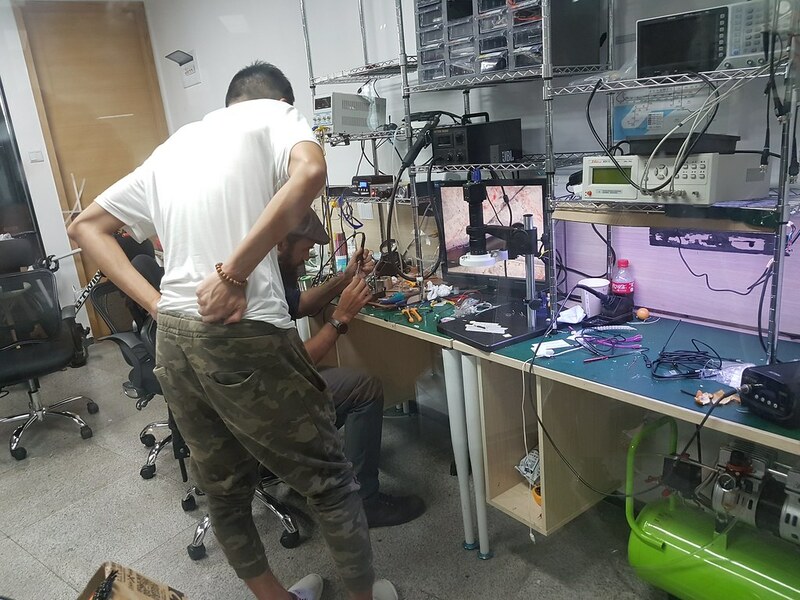 As the MakerBay team is visiting for the Shenzhen MakerFaire, we took a chance to visit some of the new makerspaces "on the block" - and get updated with the "mature ones". We split the team in 2, but still it was a very packed day as we added to these visits, the SEG electronics market, the OCT Loft area, OCAT and finished the day with a blind massage! It was very exciting to see how quickly HAX has grown in these last few years - from being the first hardware accelerator, to maintain its position as the largest hardware incubator in the world. Names of ventures in which they have invested are now covering the wall in the entrance! The hardware prototyping space has doubled. They also now have a biology lab! We saw some WAZER being tested and packed... Love the energy. Thanks Anant for the tour - we learned a ton thanks to you! Do not show up at HAX without having made an appointment beforehand, it is a private office / not a public place you can visit. Cool video made by renegademaker.com about SEG. Impressive to see a nice makerspace, directly in the heart of SEG Tower, on the 12th floor. It's a good quiet space to work. Cool video by our friends from MakerTour above! We were lucky to have a few minutes with the founder that told us their intention to open 40 branches before the end of the year (and we are in November) and 200 next year, all in the region (!!!). Troublemaker captures well the spirit of the place: spontaneous, messy, creative. That was before the party got started! Another great video by MakerTour, interviewing Violet Su of Chaihuo x.Factory. I can't think of anyone who has done as much as Eric Pan and Violet Su for the Open Hardware movement in Asia, they have our admiration and support. 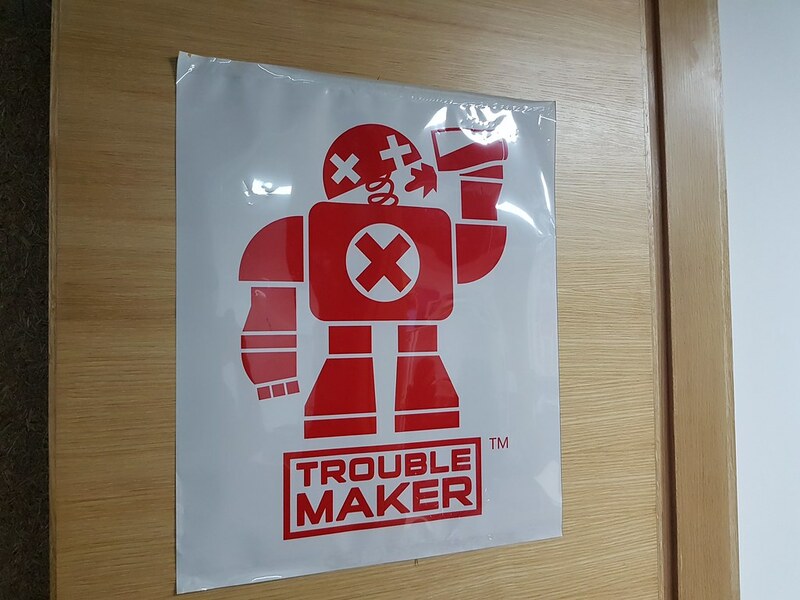 There is a lot of interest in the Maker Culture around the world and Litchee Lab is doing a great work toward maker and STEAM education for kids. Because these places are spread over Shenzhen and it's not always easy to find them - especially if you don't speak/understand Chinese, we made this little map for you. We did not include in the blog post OCT Loft and OCAT, but we highly recommend you to go and check out the designer's boutiques and small workshops now fully "hipstered". Of course, this tour is not comprehensive, we did this only in a day. You can share the link below and/or download the kml/kmz file if you want to archive this map. There is so much to see in Shenzhen!